Trying to take on your insurance company can feel like a losing battle. Helping people throughout Arizona and taking on insurance companies for over a decade, we understand the challenges you face and the options you have available. At the Phoenix Law Office of Douglas F. Dieker PC, we can help you resolve your insurance dispute or bad faith claims. Attorney Douglas F. Dieker PC has handled all types of insurance law cases over the past decade. 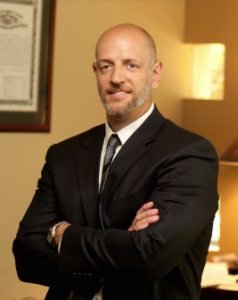 Focused exclusively on plaintiff work throughout his career, he has won many high value settlements and verdicts for individuals and businesses throughout Arizona. He has an in-depth knowledge of homeowner’s and business damage claims and a proven ability to handle complex cases. One of the most valuable assets of our experience is our understanding. We have seen first-hand the seriousness of these types of claims, and how much is at stake. We understand that you have serious financial concerns, and that is why we handle all our cases on a contingency basis. Dedicated to helping our clients get the best possible result, either through a settlement or a trial, we do not get paid until you do. Handling a variety of insurance cases for Arizona individuals and businesses, it is our goal to help you resolve your dispute in the best way possible. From homeowner’s claims due to fire, water, storm, theft, vandalism, or many others, to health, life or disability insurance claims, we can help you take on your insurance company the right way. We want to help you get the representation you deserve. In addition to our weekly business hours, we offer evening and weekend appointments as well. We meet with clients throughout the Valley and all over Arizona. Contact us today for a free initial consultation.